Why do you need to clean your fountain pen? Why not just put in some more ink and be on your way? Cleaning the ink delivery system is part of the normal maintenance and care of a fountain pen. This is part of owning and using a fountain pen, like walking the family pet is part of owning a dog! Simply put, it has to be done in order to maintain your pen in the best working condition possible and in order to extend the life of the pen. The cleaning will help by removing dried ink and other debris from the nib which can restrict the ink flow. You will also want to clean your pen when you are changing ink colors to avoid color mixing. Amazingly, the feathers of the feed can hold quite a bit of ink and when not flushed properly this alone is likely to cause the ink colors to mix and change as you use your pen. Cleaning is also the perfect time to inspect all of the parts of your pen for good working condition to head off long term damage and fix minor issues before they become large problems. Before we get started on cleaning the old ink from your existing fountain pen or filling your new one, we should first talk a little about inks. It is important to use a good quality ink in the pen you have chosen. What makes a quality ink is something that is highly debated in the world of fountain pen users, but most writers agree that they want an ink that has good flow, reasonable dry time, minimal feathering and GREAT COLOR. There are other qualities that folks discuss but let’s keep it simple to start with here. The inks that become any writer’s favorites will have to not only fulfill the individual’s "likes" but will also have to meet the "needs" of the fountain pen and paper being used. Not all pens and papers react in the same way to any given ink, or even various colors of ink within the same line of inks. That being said, there are a couple of things that should be avoided when using any bottle of ink! First, if you open a bottle of ink and it has a very BAD odor then STOP and do not use it. Second, pick up a bottle that has been sitting for some time (at least a few hours) and turn it upside down, but do NOT shake it. If you see sludge or a thickness of the ink in the bottom of the bottle, do NOT use it. This ink is too heavily dyed and the dye cannot fully dissolve in the water base. If you see the sludge in the bottom of the bottle, the same thing can happen in your fountain pen and this is what can result in clogging of the ink capillaries of the feed and the slit in the nib. In the end it has s similar effect as India ink - which should NEVER be used in a fountain pen. Before you begin, remove as much of the ink as possible from the ink filling system of your particular fountain pen. The best place to do this is in the sink with cool running tap water. Do not put ink back into a bottle after it has been in your pen; pushing the old ink back into the bottle can contaminate your ink, as it is forced out through the feed through the nib the ink carries any particles trapped in the feed capillaries or nib tines back into the good bottle of ink. If you are using cartridges and the cartridge has not been completely used, you can pull it off of your pen, cover it and store it with the opening up so that nothing can contaminate the ink. Having emptied your pen’s specific ink delivery system, you will now want to clean the ink delivery system (unless it is a cartridge that has been removed). We like to put a glass under the water faucet in the sink so that we can do this without having the water forcefully pounding on the pen and nib. Using COOL water only insert your pen into the cup while the water runs and continues to replenish the water with clean water. 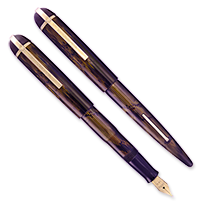 If you are using a piston converter, for example, you will want to turn the piston knob counter clockwise which will push the piston down and expel any little bits of let over ink, then turn clockwise and draw in water, repeat to expel the water and repeat until you no longer see any color flow from the nib of the pen. You can now rinse the feed and nib under cool running tap water turned on a reasonable force please do not turn on high and risk dropping your pen! You will want to do this until the water runs clear as well. ** Please note if cleaning a fine custom pen made from wood, please be cautious to not get the pen body wet unless you have checked to be certain that the finish will protect the wood from water. ** Once the pen runs clear, shake it off and then swirl it in some Indy's Ideal Pen Flush. You will be amazed at how much ink is still in left in the unit. Repeat the cleaning process, drawing the Ideal Pen Flush into your ink filling system (unless you have removed a cartridge - at which point you should consider having a converter handy for cleaning) and emptying it out until there is NO COLOR left from the pen and it is running clear.. After you have completed cleaning with the Ideal Pen Flush, you MUST repeat the cleaning process with clean, COOL water for a couple of minutes. Make certain that you flush your pen several times with water after the use of the Ideal Pen Flush as failure to do so will leave it writing excessively wet and not as it should be. Follow the instructions on the Ideal Pen Flush bottle (we have highlighted them here) to get the best out of this great product! Dry the body of your pen and any internal parts that you may have cleaned, such as the piston converter, and put the cap back on your Ideal Pen Flush. 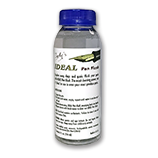 You can continue to use the bottle of Ideal Pen Flush for future cleanings until you can no longer see through the liquid. You want to make sure that your nib tines are in alignment. Tines should not sit with one higher or lower than the other, in relation to the feed; if the nib tines are sitting out of alignment, you will likely experience writing with your pen as scratchy especially in certain directions.. Additionally, the nib slit should be the same width or narrowing from top to tip. The wider the slit the more ink flow you have causing the pen to write wetter. If the slit is wider towards the tip then your ink will not flow correctly and this can cause ink creep, which is when the ink creeps out onto the nib and you will see it on the top or side of the nib rather than just in the slit running to the tip’s point. If the slit narrows to the tip it will be a dryer line of ink. If you are not familiar with how to tune your nib and it is seriously out of alignment, please seek assistance or be prepared to replace the nib if you accidentally cause more damage trying to complete a repair. If you are using a pen with a piston converter make sure that it still has a good pressure fit into the back of the feed and section. A loose fitting converter will leak and may cause damage. Replace the converter as needed and before it fails to work properly. Inspect the inside of your cap and pen body with a flexible LED light. At times the nib will leak into the cap and this can cause the cap to amber in color if not cleaned properly, whereas a leaky converter spilling ink into a pen body will cause the same kind of damage detracting from the pen’s beauty. Additionally, check for issues like cracks on your pen’s body and cap especially along the lip of the cap, the rim of the body where the section fits into it (especially if it is a pressure fit) and the section itself. These types of issues may seriously affect the workings of your pen and can get worse with wear if not properly attended to. If you are not familiar with how to make these repairs then you should seek the services of a pen repair professional. We will be happy to answer questions and provide references to pen repair specialists if need be. Your pen should now be clean and filled with ink ready to enjoy. Using this relatively simple and quick regiment your fountain pen should last for years and make your writing experience that much more enjoyable. Write On! Since we first wrote this article we have added several items that will assist you in maintaining your fountain pens. 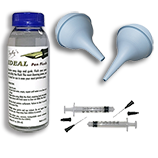 The one that will serve you best is our Ultimate Pen Flushing Kit.